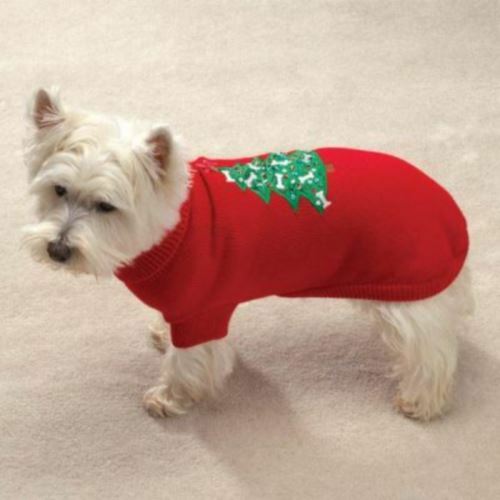 This Twinkling Star Dog Sweater by Casual Canine is made of soft and comfortable red acrylic. 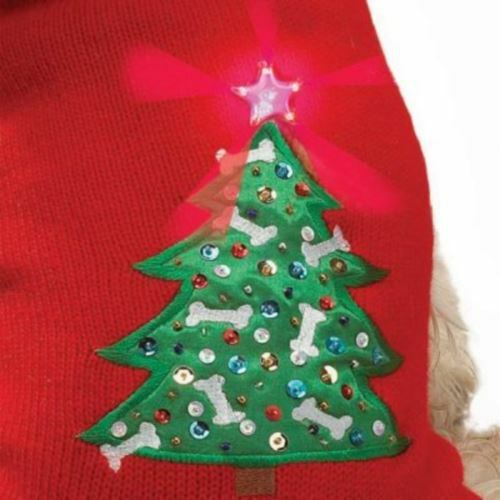 Each Twinkling Star Dog Sweater features a Christmas tree appliqué with sequined ornaments, bones, and a brightly blinking star! The Star activates easily with a twist, and included battery provides 72 hours of blinking. 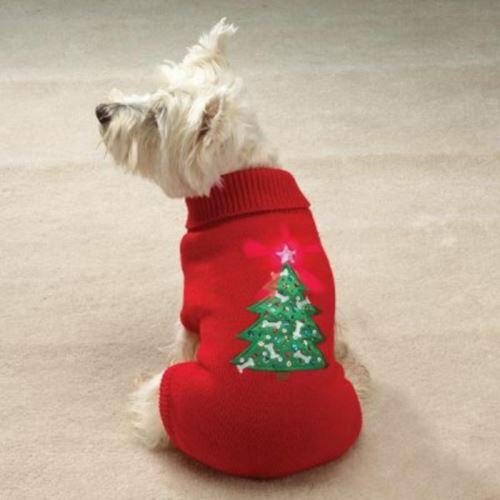 The dog sweater has a ribbed neck and cuffs provide a comfortable fit, and rear leg loops keep sweater in place. A. Measure length of pet’s back from the base of the neck to the base of the tail. C. Measure the broadest part of the chest.